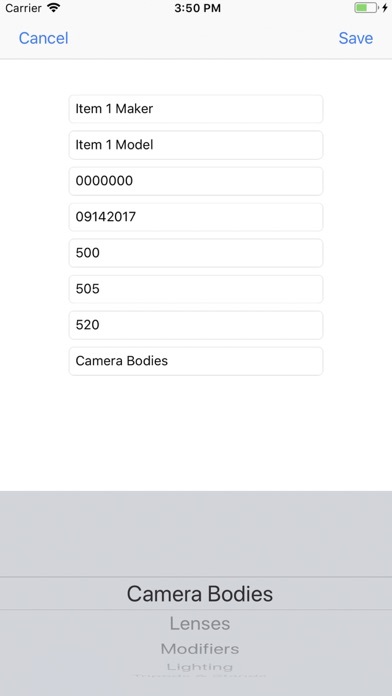 Keep track of your studio assets. 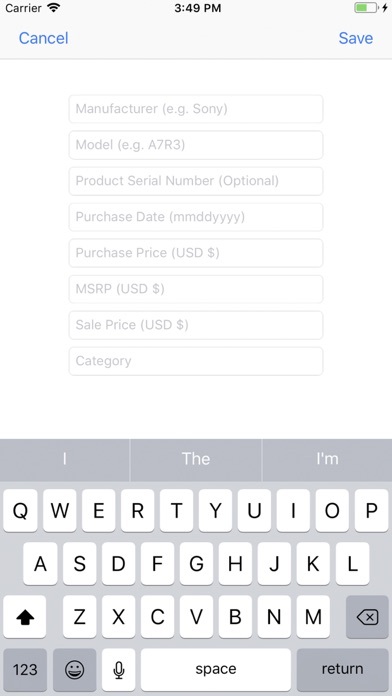 Add items on the fly. For example, add items to your inventory from the store before you buy. Know your budget, see the value/cost of adding new equipment to your studio before you buy. Keep your inventory offline, local to your own device so only you can see what is in your inventory. My Studio Inventory allows you to organize each item you add into essential photo studio categories – cameras, lenses, lights, modifiers, and support. 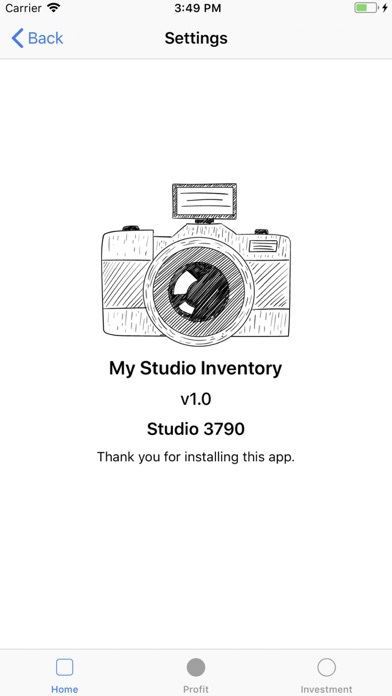 With My Studio Inventory, when you add an item to the inventory it will track how much money you have invested in your studio overall. 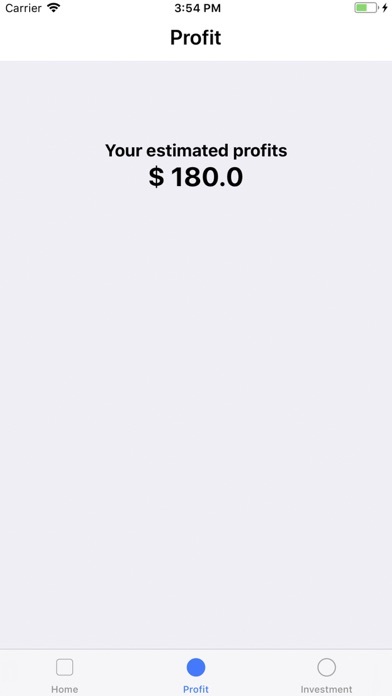 The app tracks how much money you’ve invested in each of your items and shows you how much your total studio is worth. 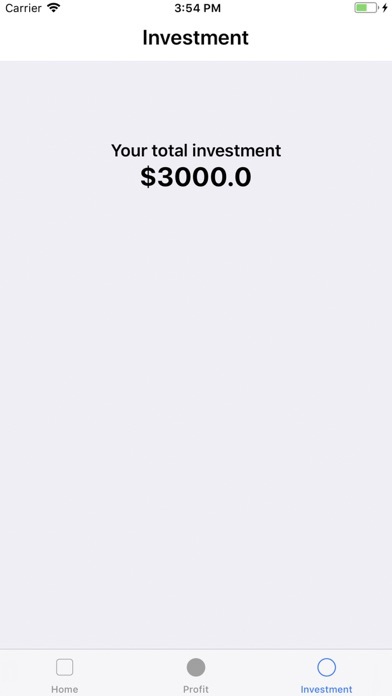 Use the Investment Value to make better bids on paid projects so that you’ll always make money on your assignments. My Studio Inventory also tracks the resale value that you add to each item in your inventory. 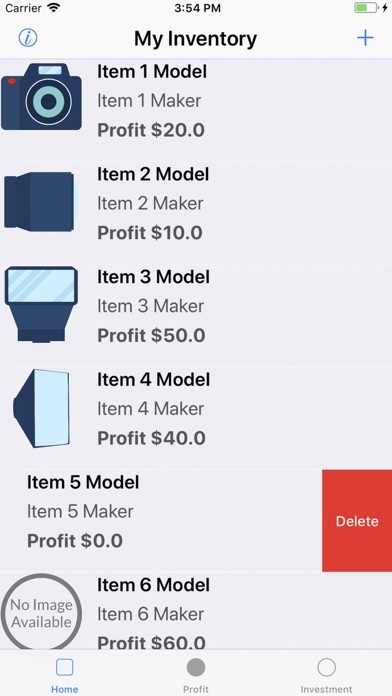 With this feature, you can see the potential profit or depreciation from selling your equipment. 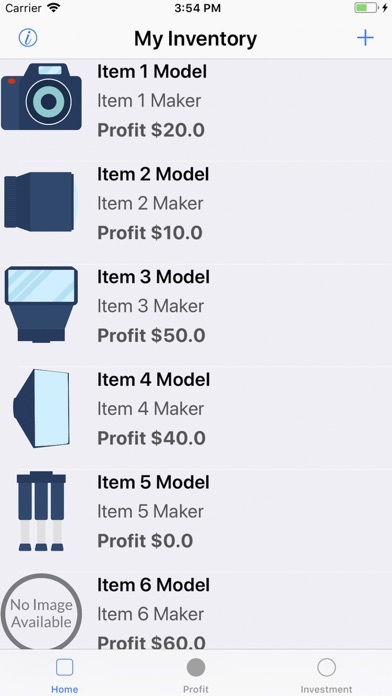 The app can track the resale value of each item in your inventory and the total value of your inventory as profit.